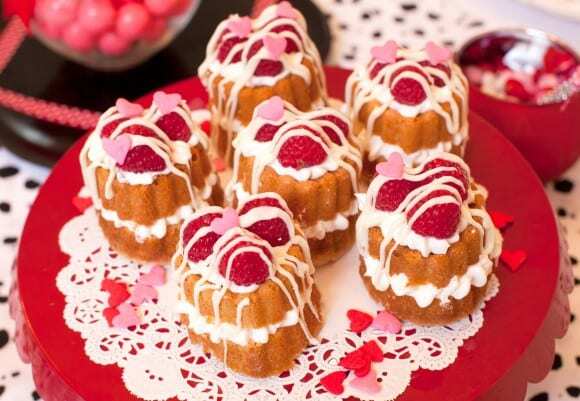 Here are nine sweet treats for Valentine's Day that are simple and quick to make, even at the last minute! 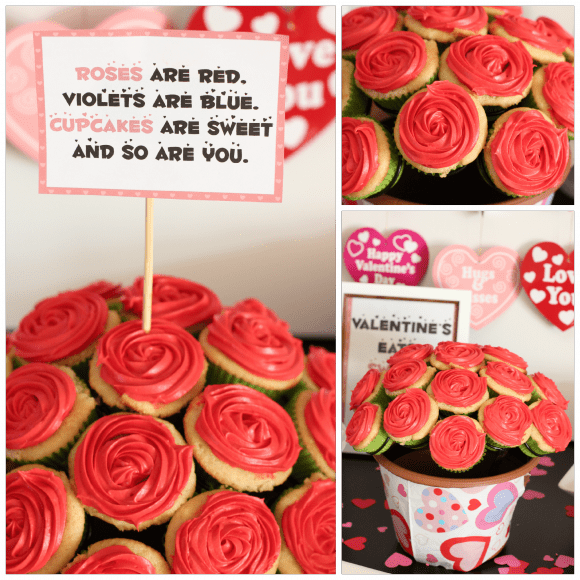 Make a bouquet out of rose decorated cupcakes! 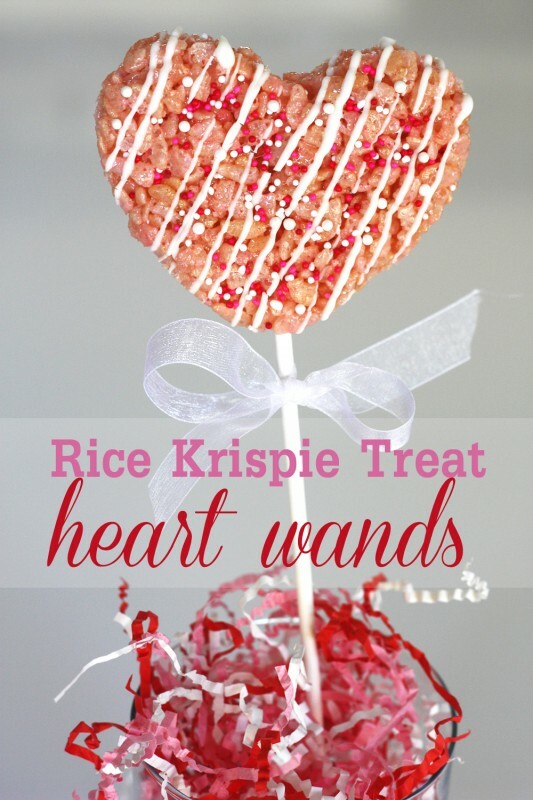 Create some magical heart wands out of Rice Krispie treats! 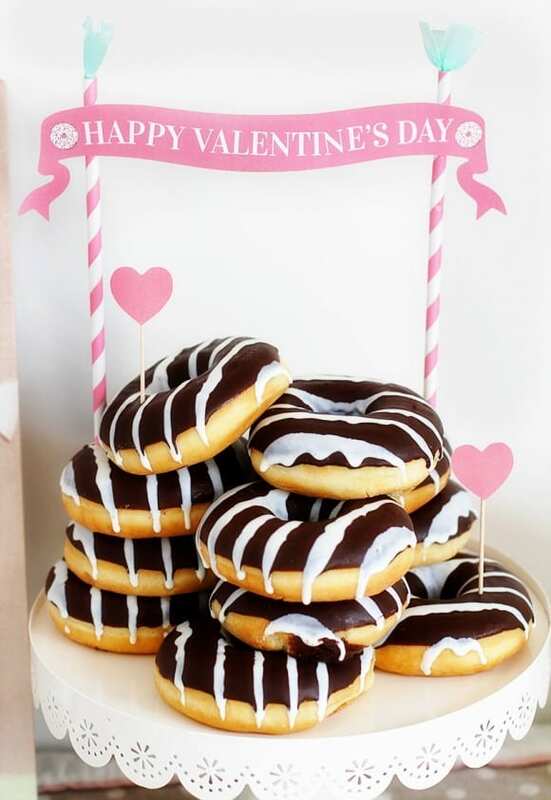 Pile up some donuts and decorate with pretty paper straws and a cake banner. Mini cakes get dressed up for the holiday with frosting, berries and sprinkles! 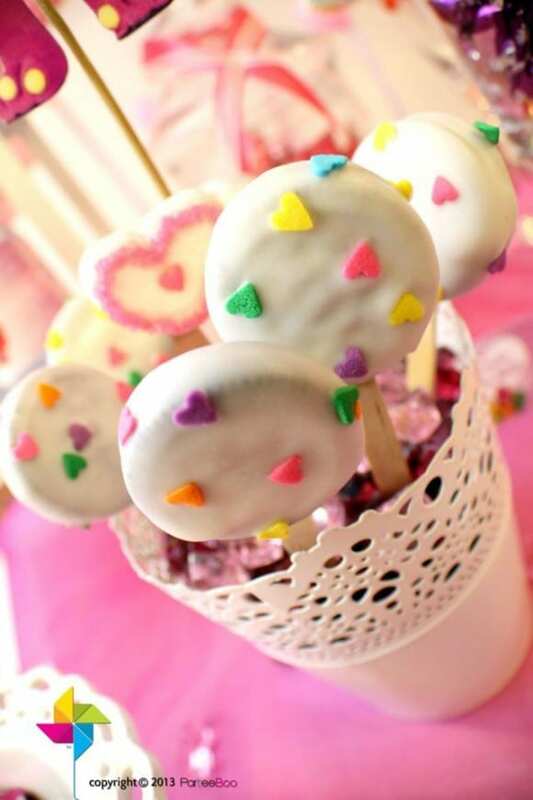 Oreo pops are dipped in white chocolate and colored heart sprinkles are added on top. 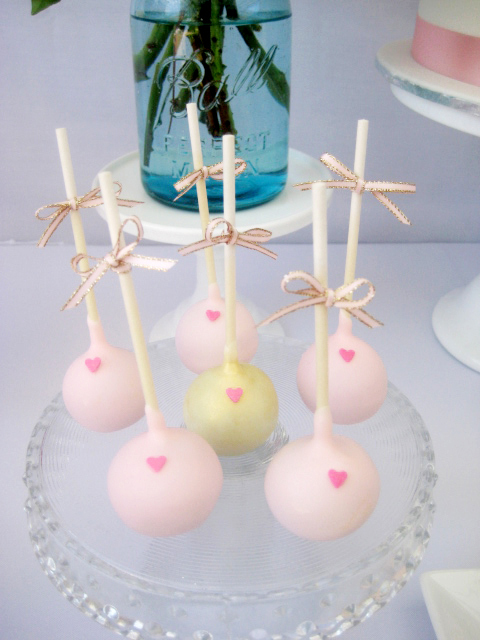 A simple tiny heart makes all the difference with these lovely cake pops! 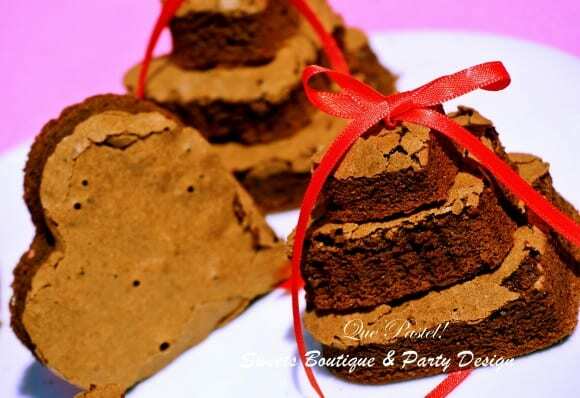 Cut brownies into heart shapes and stack them. Don't forget the ribbon! 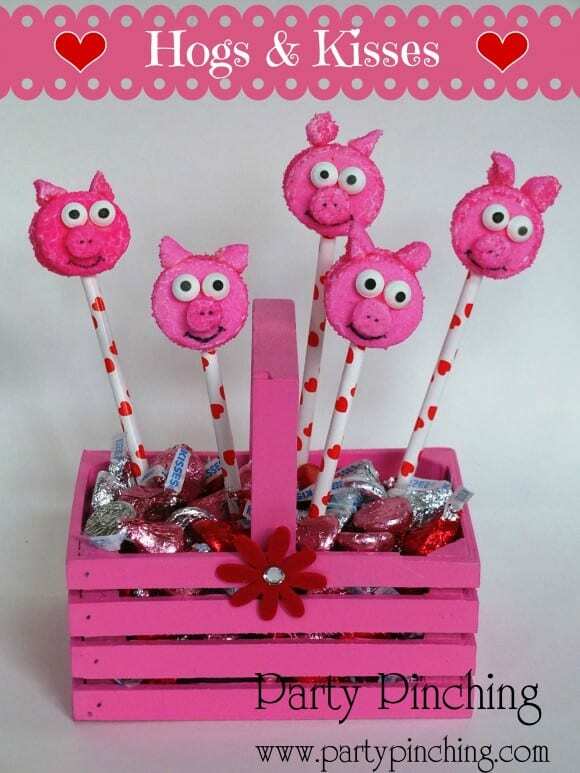 Make cute piggies out of pink marshmallows, candy eyes, and pink sanding sugar! 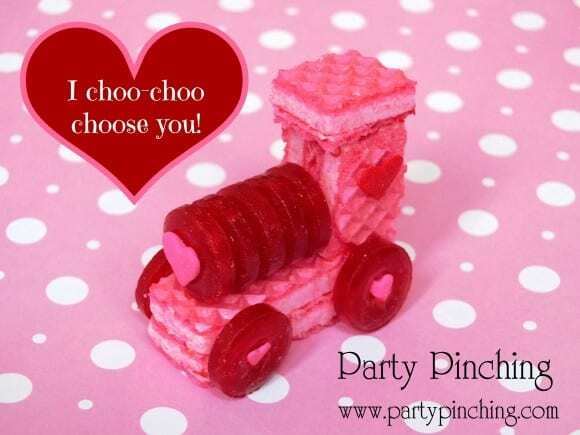 Strawberry wafer cookies are transformed into these darling love trains! 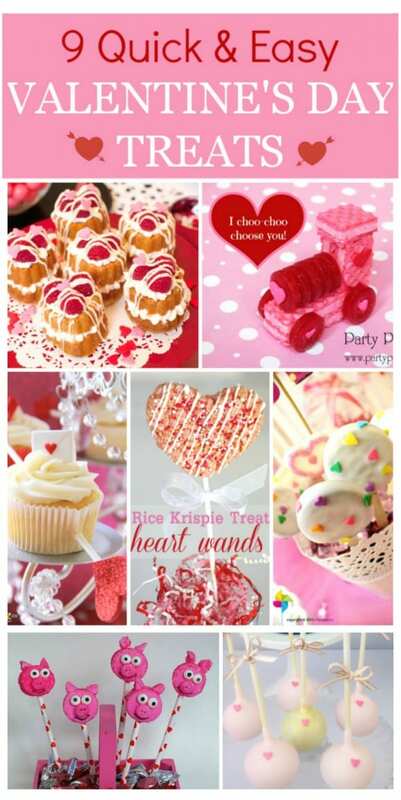 For more inspiration, check out these Valentine's Day party ideas and these free Valentine's Day printables.